Home > FAQs > Global > Billing > Billing Information > If I choose Direct Energy, how will I be billed? You will receive a bill from Direct Energy for each billing cycle you are our customer. This bill will contain your usage charges (assessed by us) and any transmission and delivery charges (assessed by the utility company for your area). An electronic copy e-mailed to your preferred e-mail address when you sign up for Paperless Billing. 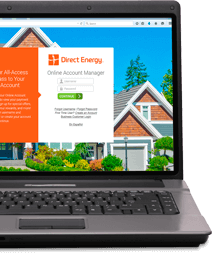 In either case, you can always log into your Direct Energy Online Account Manager to view and make payments on your bill.